Call us at (508) 997-7866, or enjoy the convenience of ordering from our custom on-line shop 24 hours a day. Sowle the Florist was established in 1889 with numerous greenhouses and several acres of field-grown flowers. Sowle the Florist has commanded the respect of generations of families through the years. Sowle the Florist has been in this same location 121 years. 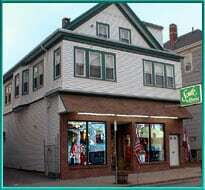 We are the oldest florist in New Bedford. We are in the exact center of New Bedford geographically. Within minutes we can and have been known to deliver within the hour and within minutes when time was a priority. We deliver same day if ordered by 2:00 PM. All our deliveries aremade by our trained staff of qualified and personable, responsible people we are proud of. It's personal service from Sowle's. We pride ourselves in delivering our products with the same care we give to the fresh product that arrives daily. Our drivers are the ambassadors that make the final step to the presentation of your floral gift! Sowle the Florist has been recognized for its award-winning designs decorated for President Reagan, President Bush and the President of Portugal. We've also decorated for the Debutante French Cotillion Ball and decorated for past Mayors Inaugural Balls, weddings, party work and conventions large and small. We also keep a large inventory of party props. We have a wide array of flowers to suit all tastes. 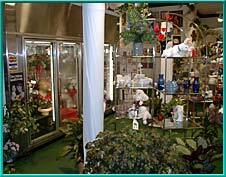 Our selection includes plants, silks and dried floral arrangements. 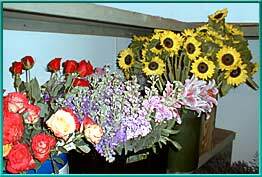 We have a full staff of employees to serve your everyday floral needs professionally. Shop owner William E "Bill" Santos AAF, AIFD, PFCI, has been in the industry for 50 years. He's networked from coast to coast working in many shops including New Bedford, San Francisco, Phoenix, Arizona and Roswell, New Mexico. He's a past national president of the Gold Medal Florist Association, and he's been a designer and promoter of this great industry for over 40 years. He, and his wife Maria, love a challenge and enjoy the pleasure of serving their customers with quality flowers and artistic designs. In addition to traditional floral arrangement, bouquets and plants, we carry fresh fruit from local farms when available and produce from local suppliers that's #1 quality. We've got gourmet delights including oysters, cheese, crackers, biscuits and some ethnic sausages and breads when requested. We pride ourselves in answering the needs and requests of our customers to customize that special gift for those not content with the usual. We can also create corporate office baskets for business gifts on special order. It's fun to create a balloon bouquet with flower, candy, or a plush toy. Our inventory includes some Looney Toons, all sorts of Bear Pals, soft and cuddly ... large and small. 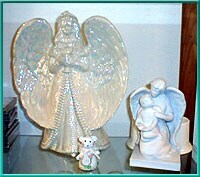 Crystal sparkles bright on display are dozens of items from salt and pepper shakers, picture frames, vases, and candy dishes. Copper, kettle and brass planters, candle sticks and figurines, dried and preserved. Wall hangings in silk, and seasonal holiday splendor. Sowle's The Florist is in the Top 1000 FTD shops. That's just one of our many accomplishments that gives us pride. As an independent FTD florist we adhere to the highest quality and service standards. 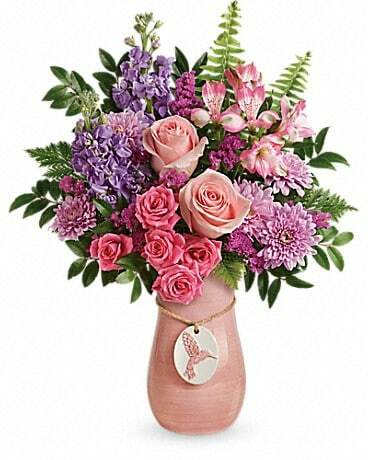 FTD florists provides same-day delivery of floral orders to nearly 100 percent of the U.S. population, and offers a wide variety of unique floral arrangements and specialty gifts for holidays and other occasions. We are also a Teleflora Florist. 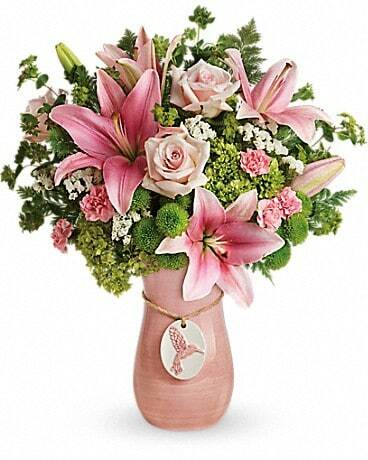 All Teleflora florists are experts at designing any style arrangement for any occasion to fit your budget. And with fast same-day service and our 100% satisfaction guarantee, you can be confident that your order will always be perfect and arrive at its destination when you need it. Do it right, do it with Sowle. Our shop will always be closed on the following holidays: New Year's Day, Christmas, Thanksgiving, Easter, Mother's Day, Father's Day and Independence Day. If you have any questions or need more information, please call us directly at (800) 258-7866. We're always here to serve you and make your flower-sending experience a pleasure.